The largest solar plant in the world officially starts generating electricity on Thursday. The Ivanpah solar farm, in California’s Mojave Desert about 40 miles south of Las Vegas, will produce enough electricity to power 140,000 homes per year. It took nearly four years to build the massive plant, which was developed by Oakland-based BrightSource Energy. NRG and Google are also investors in the plant. The facility is not without controversy: its planning and construction included measures to protect the threatened desert tortoise to the tune of $55,000 per tortoise. The Department of Energy provided Ivanpah’s developers with a $1.6 billion loan guarantee in 2011. 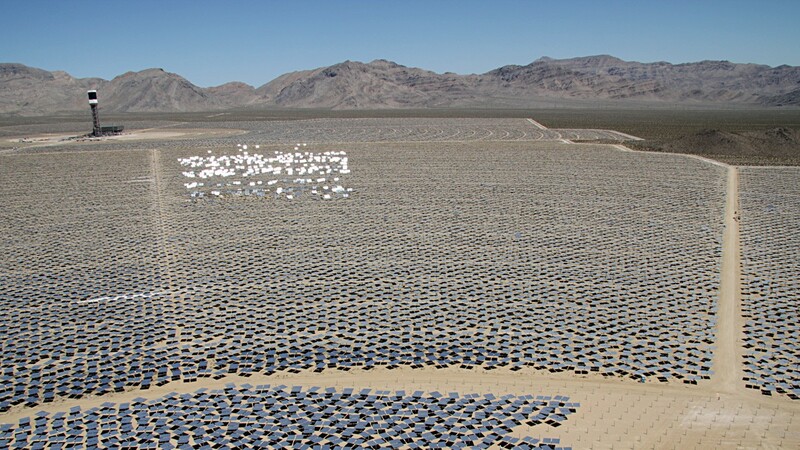 Ivanpah is one of seven massive solar plants scheduled to open in California in 2014. Together they’re part of the coming of age of big solar in the United States.